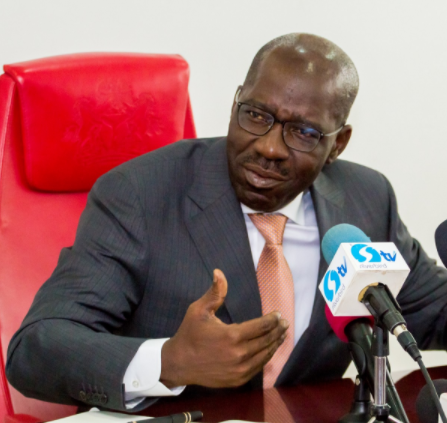 Edo State Governor, Mr. Godwin Obaseki, has advocated for the judicious use of resources in the Sout South; to drive socio-economic development, lamenting that there is little to show that the region is the most funded in Nigeria. Obaseki said the state is on a path to changing this narrative with an articulate long-term development framework that provides a sustainable pathway to economic progress. The governor made the submission when executives of the Foundation for Partnership Initiatives in the Niger Delta (PIND) presented him with an award for winning the Seventh Niger Delta Development Forum (NDDF) competition, at the Government House, in Benin City. He said part of the challenges faced by the South South is defining well-articulated and implementable development agenda. PIND’s Partnership and Engagement Manager, Chime Asonye, said they were at the Edo State Government House to present the state with the award won at the Seventh NDDF. Take your complaint to the Hausa/Yoruba you are enslaved to.